For the very first time, Instagram, in collaboration with young Indonesian comic artist Reza Mustar, has launched a series of Indonesian election-themed stickers. Designed to celebrate the country's biggest festival of democracy, which will fall on April 17, users will be able to share their moments and stories on the general election more expressively through the stickers between April 14 and 17. Reza Mustar, who is famous through his moniker Azer or @komikazer, has designed three stickers titled "Saya Pilih Indonesia” (I Choose Indonesia), "Suara Indonesia" (Indonesia’s Vote) and "Nyoblos Yuk" (Let’s Vote). Ini kolaborasi gua dengan Instagram dalam pembuatan stiker pemilu pertama Instagram untuk Indonesia. Menjelang pesta demokrasi terbesar tahun ini, jangan lupa gunakan hak pilih lo nanti untuk menciptakan Indonesia yang lebih baik. Ada tiga desain stiker Pemilu yang bisa lo pake di Instagram stories lo: “Suara Indonesia”, ”Saya Pilih Indonesia", dan "Nyoblos Yuk!" Caranya: ketiga stiker karya gue akan ada di bagian stiker stories lo persis di samping tag location. Lalu tap stikernya dan lo tinggal pilih stiker mana yang lo mau pake deh. Yuks, jangan lupa pakai #SayaPilihIndonesia yaa! Read also: How does simultaneous elections system influence Indonesian politics? “The ‘Saya Pilih Indonesia' sticker is an encouragement for young people to vote, as by voting in April 17 we are voting for the best of Indonesia,” Azer said. As a comic artist, Azer actively uses Instagram as a medium to share his work and his aspirations regarding social issues. “Personally, I want to make a meaningful change for Indonesia through the artwork that I make and share on Instagram, hence I welcomed Instagram's invitation to create its first election stickers in this country,” Azer said. Similarly, head of public policy of Facebook Indonesia, Ruben Hattari, said the project was a part of the company's effort to make the general election a cheerful moment to share. “We present the general election-themed stickers so that they [Instagram users] can share the important moments and experience [the general election] easily and in a fun way,” he said. 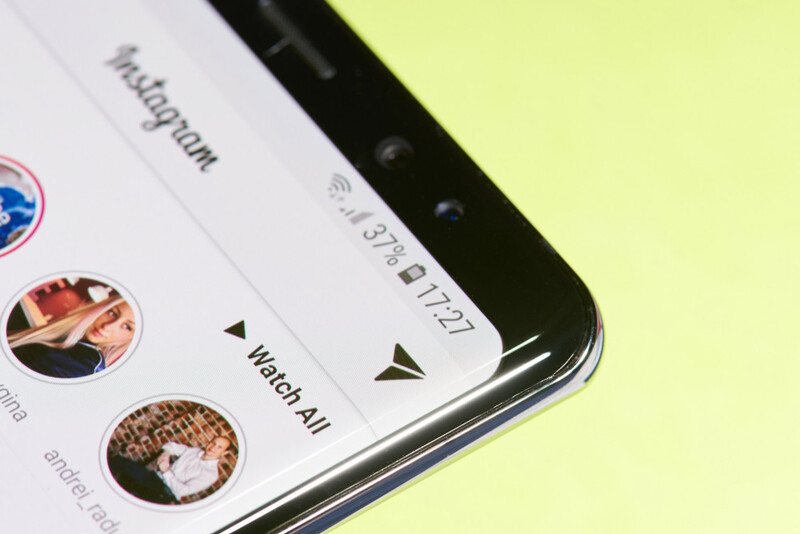 Additionally, Instagram has also announced its commitment to protecting the integrity of the general election on the platform by launching new features such as "About the Account" to increase Instagram account transparency, eliminate misinformation and improve the ability to detect and remove non-authentic accounts.